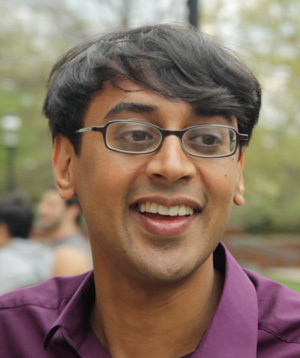 Manjul Bhargava has been awarded the Fields Medal, the most prestigious prize in maths, at this year's International Congress of Mathematicians in Seoul. "I think that the reasons for doing maths are similar to those for doing music or art," says Manjul Bhargava . "It's about contributing to a certain understanding of the world and ourselves." He is being honoured as a number theorist of "extraordinary creativity," with "a taste for simple problems of timeless beauty." But simple doesn't mean easy - far from it. Number theory is famous for problems that are quite easy to explain even to non-mathematicians, but that are incredibly difficult to solve. An example is one of the problems Bhargava has solved, together with the mathematician Jonathan Hanke. Suppose you take two numbers, x and y, square them and then add them together to see what number you get. What numbers can you make in this way; as a sum of two squares? Can you make all the the natural numbers 1, 2, 3, 4, etc? The answer, sadly, is no. for some natural numbers , , and ? The answer is yes, as was proved by the self-taught Indian mathematician Srinivasa Ramanujan in 1916, nearly 150 years after Lagrange's result. Ramanujan listed 55 quadratic forms (that's what expressions like the ones above are called), which he said were capable of representing all natural numbers. He was right on 54 of them, and almost right on the remaining one: it can represent all natural numbers except 15! When you play around with such quadratic forms, inserting different values for the variables x, y, z and w and seeing what results you get, you might soon get a feeling that once you can make a certain collection of natural numbers, you can make all of them. In the early 1990s another mathematical heavy weight, John H. Conway, threw his weight (and that of his students) into the ring, claiming that if a quadratic form can represent natural numbers less than 290, then it can represent all of them. then it can represent all of them. The proof is a feat of ingenuity combined with extensive computer programming. Notice that 290 is the largest number here, so Conway was right! (Strictly speaking we should say that the quadratic forms here are allowed to contain any number of variables, that their coefficients are also natural numbers, and that they are positive definite). An inspiration: Carl Friedrich Gauss. Bhargava believes that one of the keys to solving hard problems is to look at them in a new way. One his first exciting moments of discovery came around midnight, when he was thinking about a problem inspired by the famous mathematician Carl Friedrich Gauss. 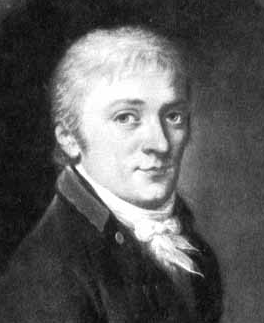 In his book Disquisitiones Gauss had described a way of combining two quadratic forms to get a third. Bhargava thought that there had to be an easier way than the one described by Gauss in 20 pages of calculations. The night in question Bhargava noticed that labelling the corners of a Rubik's cube with numbers and then slicing the cube in two gave a nice and easy visual way of obtaining Gauss' composition law. "This opened the door to twelve more analogs of Gauss' composition -- but the first was opened in part due to playing with toys. One question that always raises its ugly head when it comes to pure maths is "what's the point?". Why do we care about those intimate properties of the natural numbers? An example that's often quoted, but that is worth quoting again, is cryptography. The algorithms that safe-guard your bank details or any other secret messages you send over the internet depend crucially on the properties of natural numbers. But to most mathematicians it's about the beauty of the mathematics and the search for understanding. As Bhargava says, "The most applicable maths discovered in history was not discovered for the purpose of applications, but in the search for the most beautiful maths out there." To read more about number theory and its deceptively simple problems see this Plus article. You can find out more about the work of the legendary Indian mathematician Ramanujan in this Plus article. And about the maths of cryptogtaphy in this Plus article.